Congratulations to Andrew Gaut from Northampton, UK who was the clear winner of the recent Creation team's quiz, with the only maximum score from over 80 entries received. Andrew's Creation goodies will be mailed out within the next 30 days. 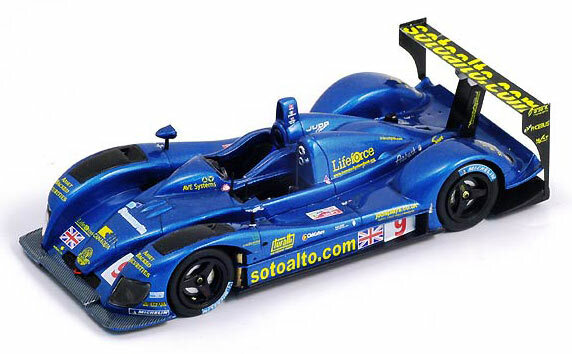 He will receive a dailysportscar subscription, signed posters and driver cards, a brand new Spark model of the CA06/H from Le Mans this year (below), a Creation mug, mousemat "and whatever else we can dig up! " Andy Woolgar offers his thanks to everyone from around the world who entered. Runners up, just 1 point shy of maximum score were Matz Zetterqvist from Nykoping, Sweden, and James Fairbrother from Bracknell, UK. "Please keep an eye on www.creationsport.com for future competitons, new merchandise and special offers," says Andy Woolgar.